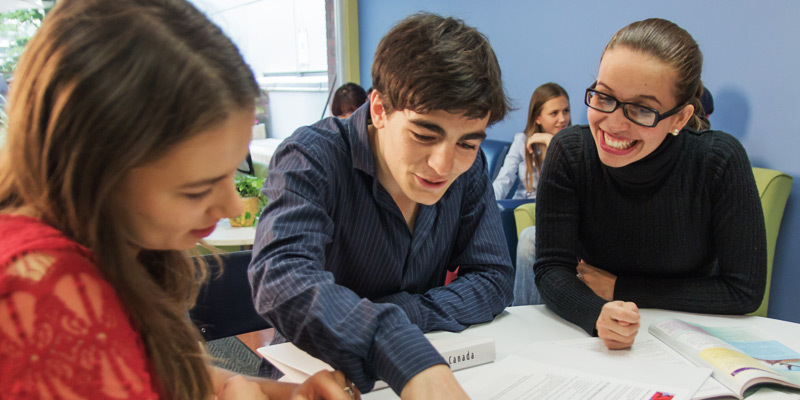 English School of Canada aims to help international students develop both fluency and confidence in order to achieve success in personal, academic and professional goals. This is accomplished through genuine and dedicated care from teachers and support staff who understand the needs of foreign students, going above and beyond to create both valuable and memorable experiences for them in Toronto. 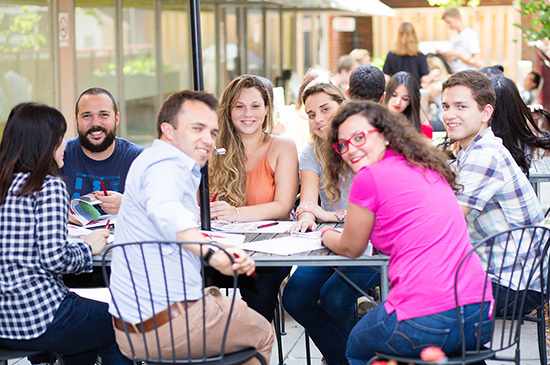 Established by teachers, ESC brings together current teaching methods and techniques with a fully accredited and award-winning teaching team. Our support staff are qualified to help in a variety of ways from academic counselors to activity coordinators to administrative support. We are here to help and are dedicated to your needs. A culturally diverse, progressive and welcoming city. 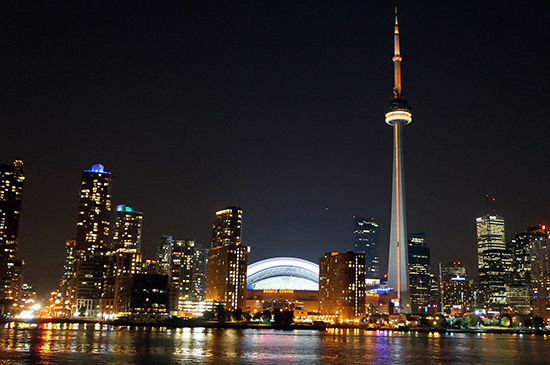 As Canada’s largest city, Toronto is near many experiences you will enjoy from shopping, sports and entertainment to a thriving arts scene, beautiful natural wonders and world-renowned cultural events. 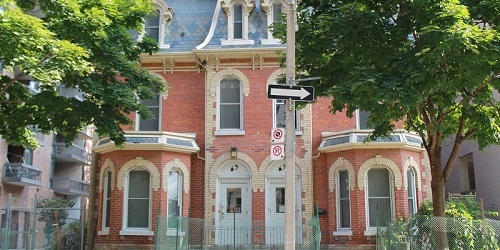 It is also conveniently close to Niagara Falls, French Canada, New York, Chicago and Boston. 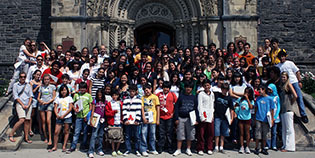 Running for nearly 20 years, English School of Canada has educated over 30,000 students from more than 50 countries. Students appreciate and are engaged with the multicultural student body they study with at our fully accredited school. 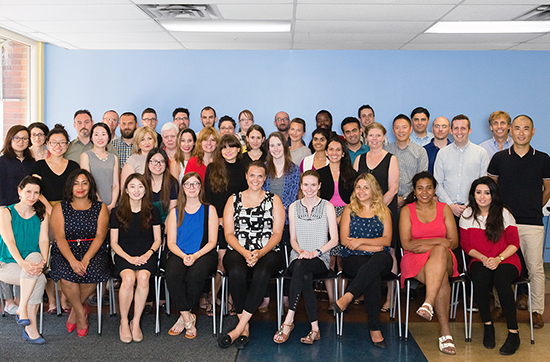 At English School of Canada, we focus on teaching with our award-winning teachers and programs and activities to give our vibrant and dynamic students a true Canadian experience. 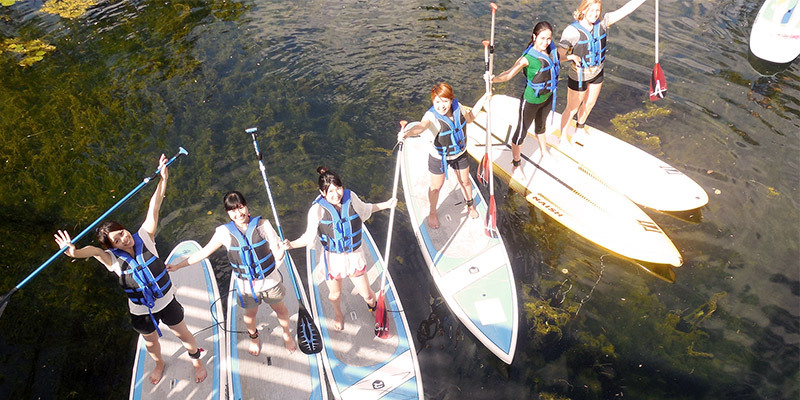 This 12-week intensive program consists of three classes daily. The first class focuses on understanding and effectively using vocabulary (including collocations, idioms, register, discourse and formality). The second class will concentrate on the structure, mechanics, style and tone of sentences. Finally, the third class will illuminate how to write various academic, business, professional, and functional compositions. 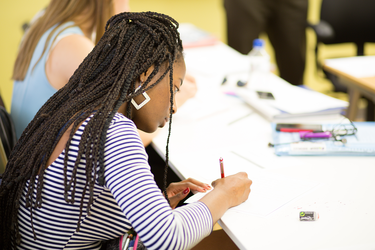 In addition to these practical objectives, this class will show students how to put themselves in the correct mindset to write, how to plan to write as well as how to implement editing and revision strategies. Creativity, flexibility and risk-taking will also be emphasized. This 8-week course is designed to transform students into confident and expressive English speakers. It is ideal for students who possess a solid understanding of English grammar but struggle to express their ideas clearly. Each day, students focus on various features of spoken English, including effective use of idioms and slang, the mechanics of speaking, and public speaking. This 16-week program is designed for students who are working in or plan to work in an English-speaking health care environment. Doctors, nurses, lab technicians, and other medical professionals benefit from learning the general English language and communication skills needed for their field. The program also teaches students the specific language skills and vocabulary needed in a health care workplace. It covers speaking, listening, and reading on a wide range of topics from technical skills to ethical concerns, from communicating with patients to discussing issues with colleagues. The program includes health care studies, job skills, and medical terminology lessons to improve fluency and proficiency. This 12-week program is designed to prepare students seeking to take the Academic IELTS Test and to enter into higher education. 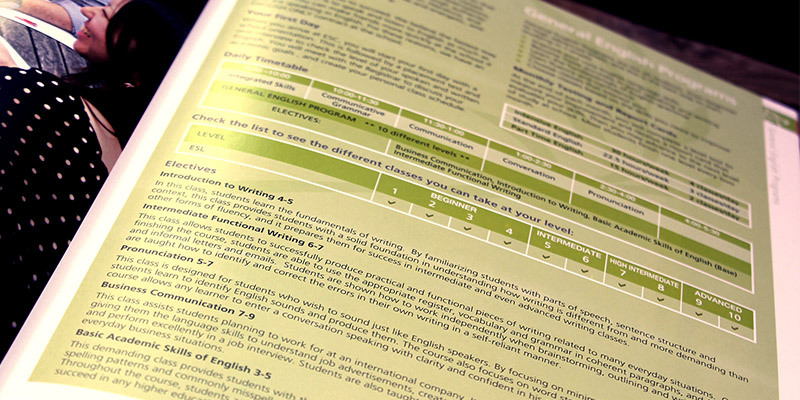 The course familiarizes students with the style and content of the four modules for the IELTS test: academic reading, academic writing, speaking and listening. It also prepares students for life in university through study of formal writing style, academic vocabulary building, and the formation of clear opinions during class debate. 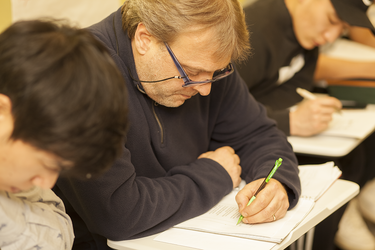 Students are introduced to a new test technique each day and are provided with regular test practice. 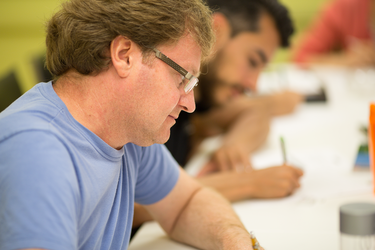 This fast-paced and demanding 12-week course covers all four parts of the TOEFL iBT: listening, speaking, reading and writing. 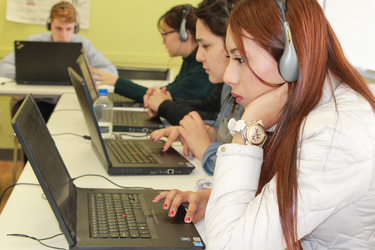 Students learn the test-taking tips and strategies that will help them achieve the TOEFL iBTscore they need. Practice tests are an important part of the program. Students are provided with regular computer work and test practice so that they can apply newly learned strategies under test conditions. This program is for students interested in taking ESC’s 12-week UCTP (University College Transfer Program). In this program, students learn presentation skills, group discussion skills, academic reading skills, lecture skills and note-taking skills. These are fundamental and necessary skills needed to enter and succeed in both the University and College Transfer Program (UCTP) and any higher education setting. This 12-week academic English program is designed for students who have the ultimate goal of attending a university or college in the U.S. and Canada. This is an advanced-level program which focuses on providing students with the academic English skills necessary to succeed at the university or college level.Since the launch of UCTP in 2006, we have been devoted to promoting high academic standards by assisting students in developing the personal and professional skills needed to succeed in higher education. UCTP graduates meet the English requirements at our partner colleges and universities. 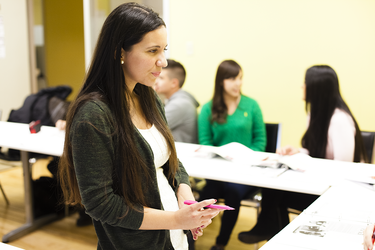 Academic Pathway is an extensive 60-week process designed to take students with beginner-level English into higher education in Canada. I love studying at ESC! All the teachers and staff members are very friendly and kind! My experience in Canada has been absolutely perfect, thanks to everybody at ESC. I will go back in the future for sure! Studying at ESC has been the best experience of my life. I have met people from around the world. The classes are dynamic, the teachers are very well-trained and the counsellors give us great support about our classes and life in Toronto. 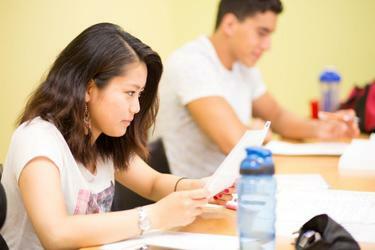 I recommend ESC as the best school to learn English Canada. I will never forget the great time I had at ESC! I studied at ESC for only 3 months but made life-long friends from different parts of the world. Thank you so much to all my teachers and ESC staff for an amazing experience. 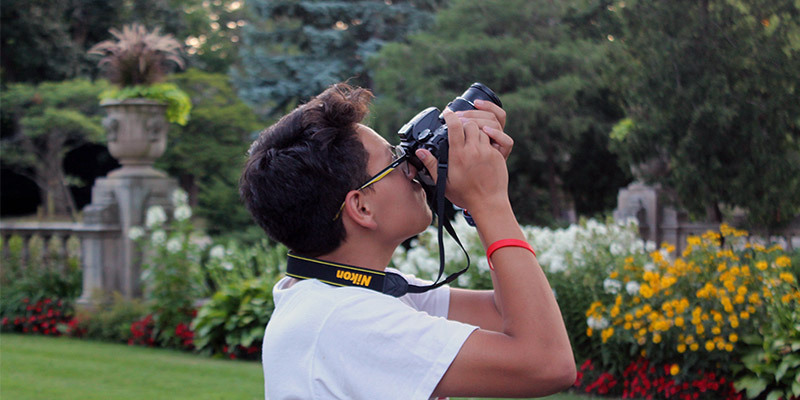 This program is dedicated to teenagers from around the world who are from 12 to 17 years old and are looking for a high-quality English summer camp in the city of Toronto.